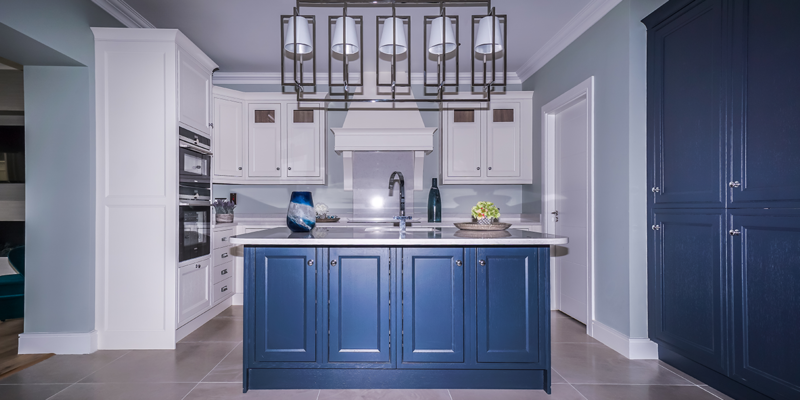 With its ornate detailing and luxurious wood grain finish, an In-Frame design fuses classic features with modern design to result in a kitchen that exudes charm and sophistication. 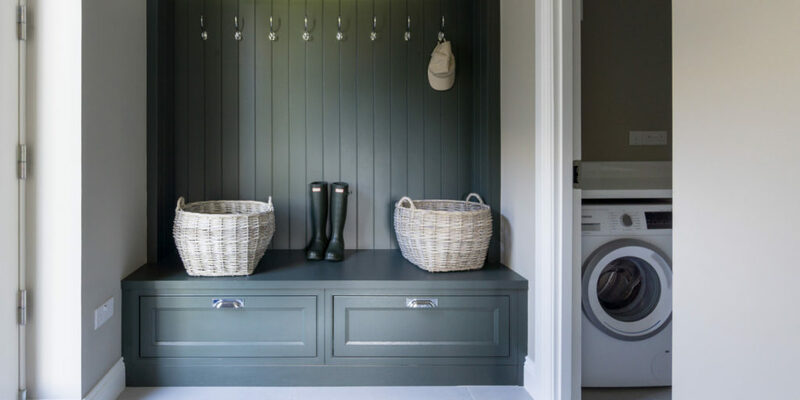 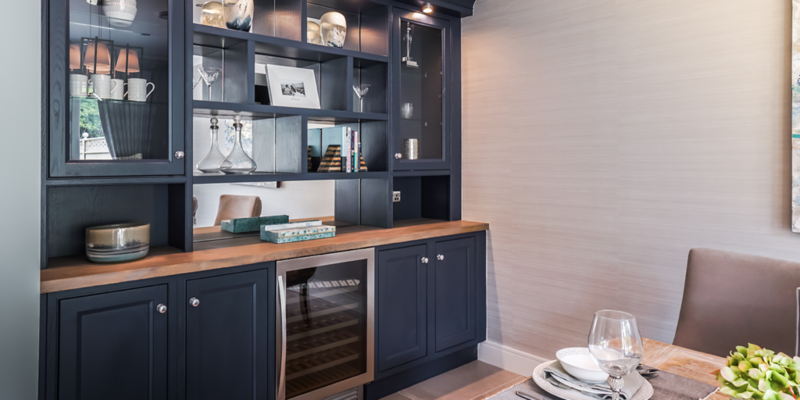 Let the imagination run wild with the numerous design possibilities offered by painted finish allowing unlimited choice to create your own style. 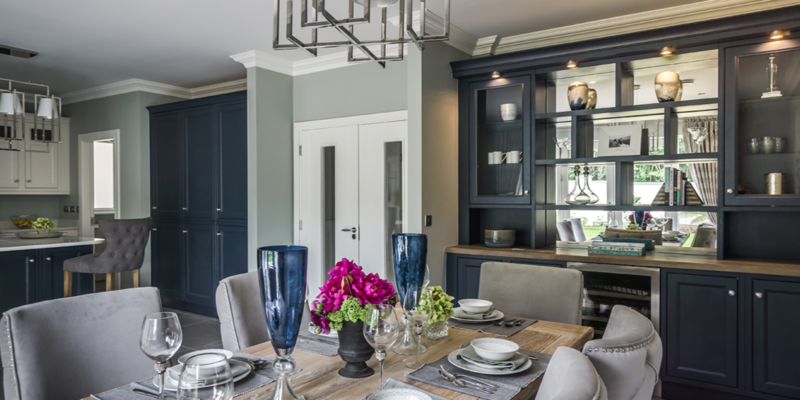 Featuring an exquisite canopy masterfully establishing a subtle centrepiece. 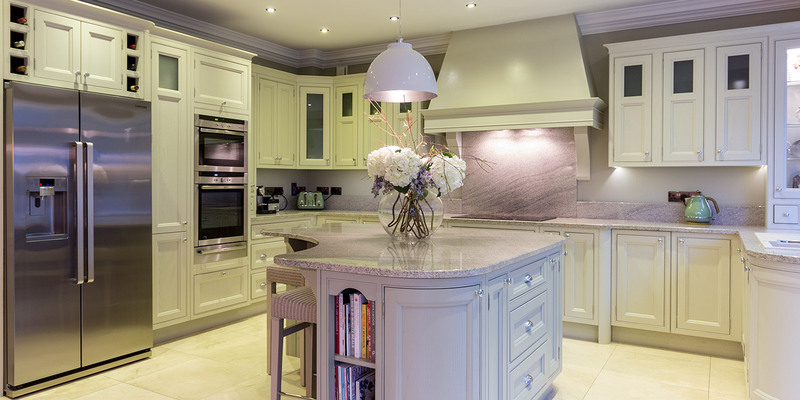 Contradictory in its simplistic extravagance. 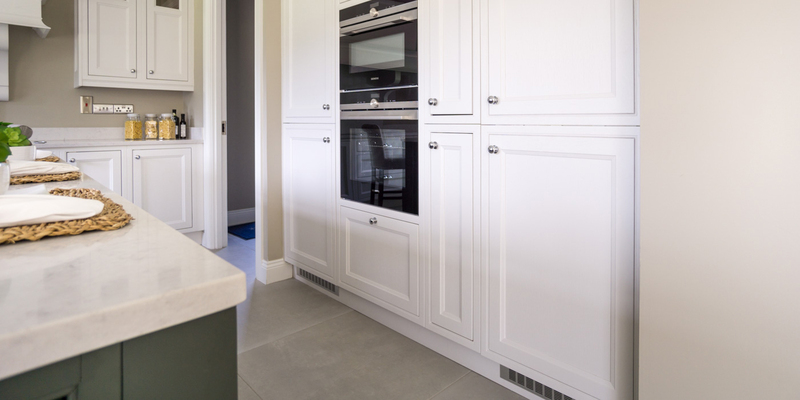 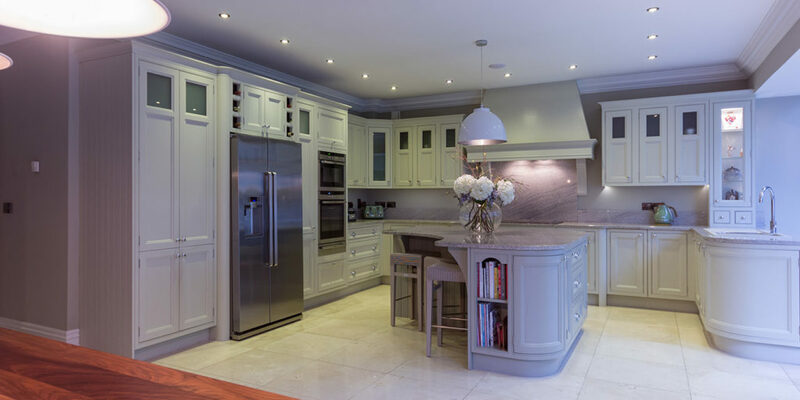 Subtle paint finishes compliment appliances in a timeless ambience. 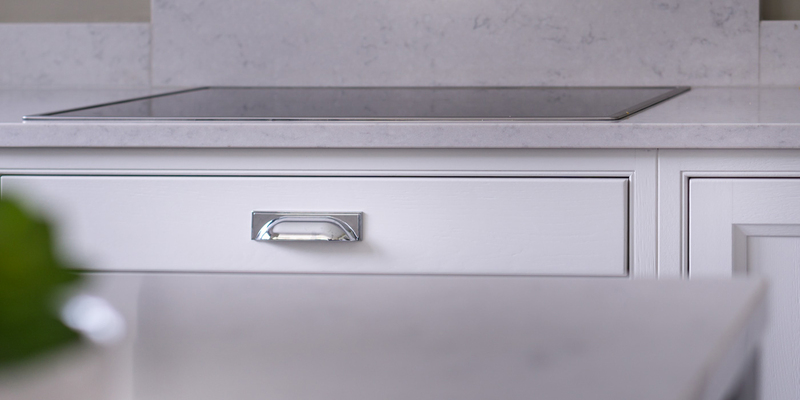 Stunning composite sink guarantees a statement of sheer elegance. 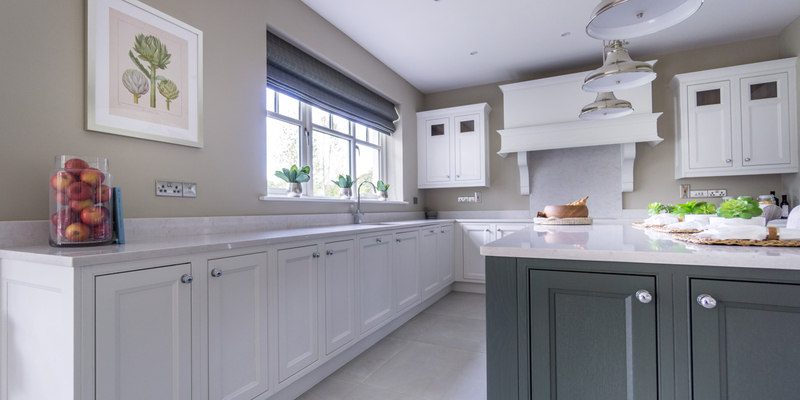 T & G panels personify the luxurious natural beauty of solid oak. 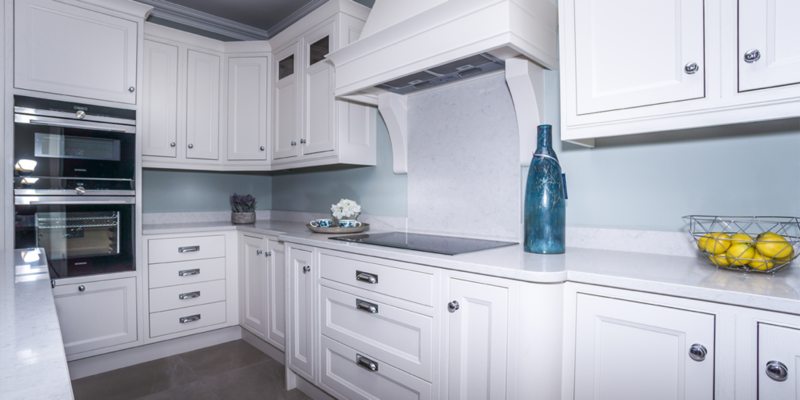 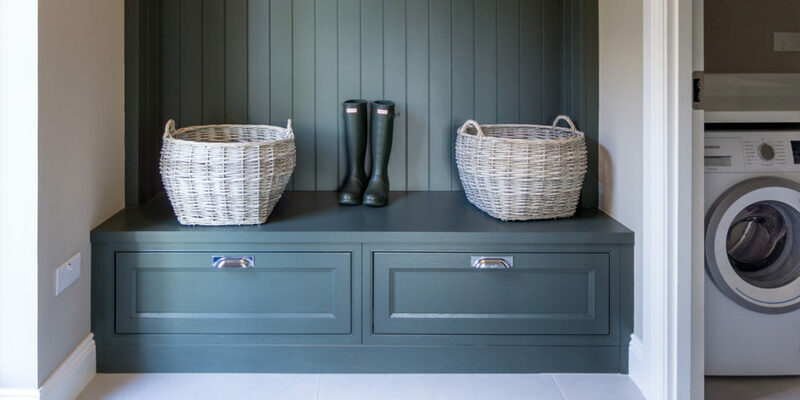 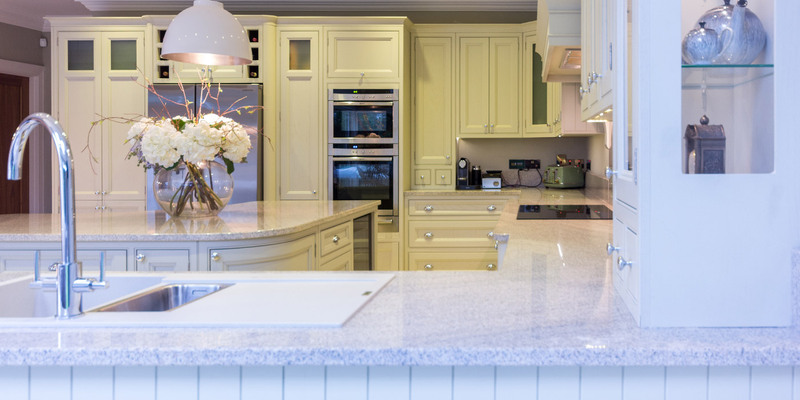 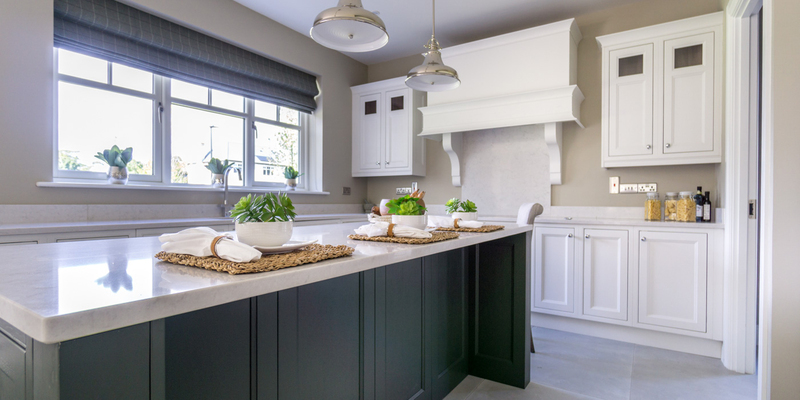 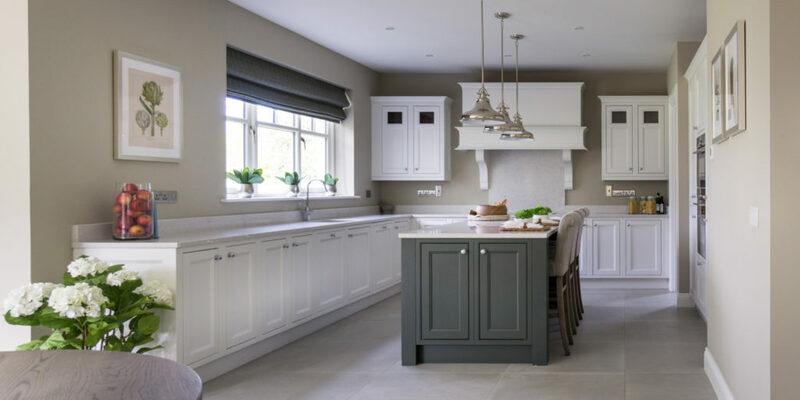 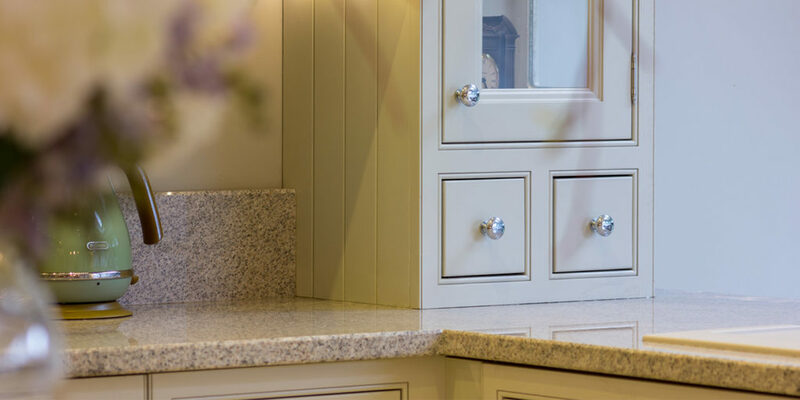 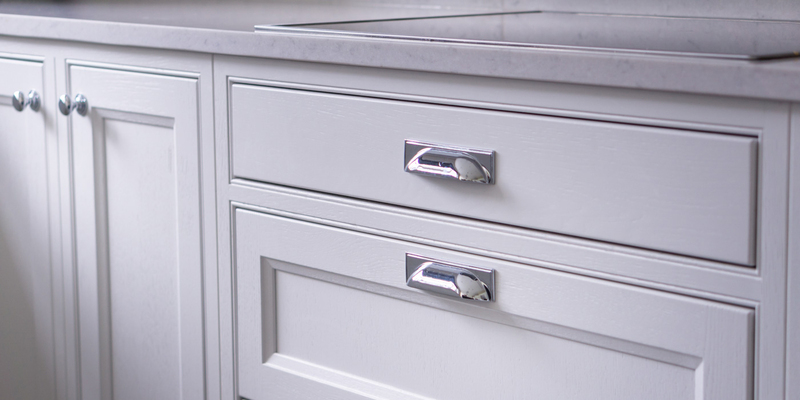 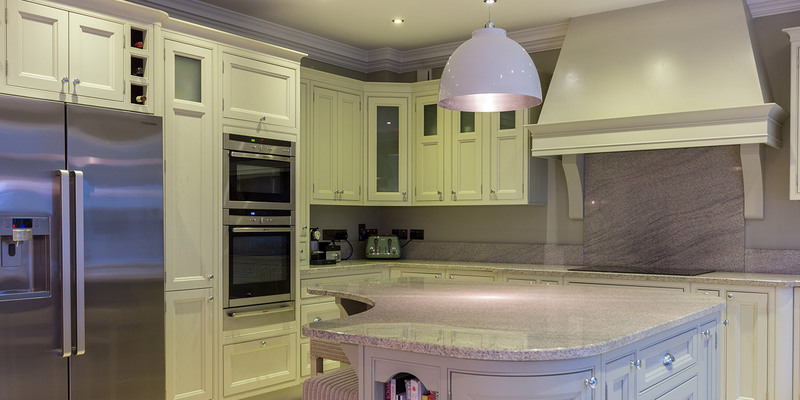 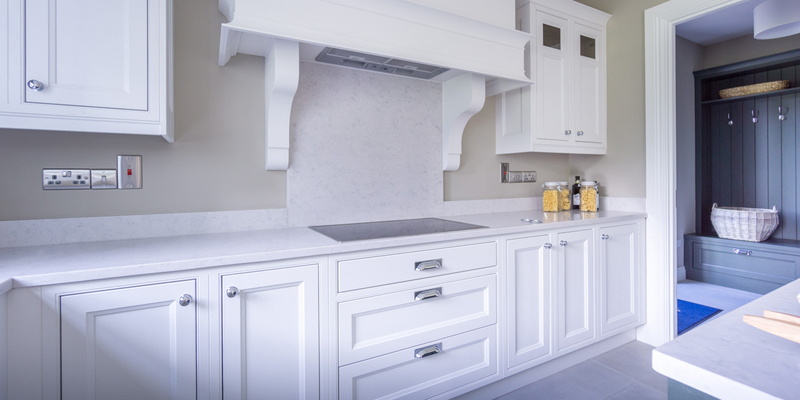 Painted in a colour of your choice it encapsulates the understated elegance that is your kitchen. 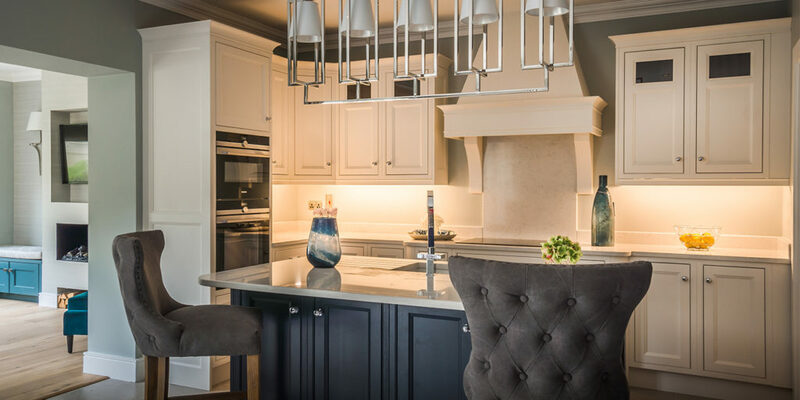 Delicate in-style framing, creating functionality in timeless tradition in wholly sophisticated refinement. 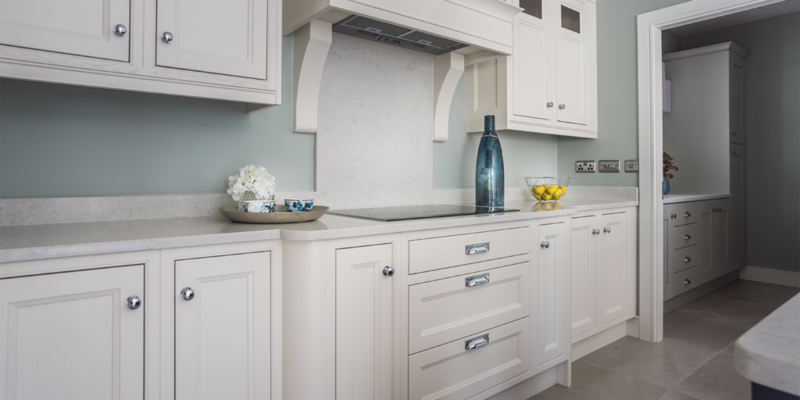 The Austin Collection featuring our bespoke inframe solid woodgrain door, exclusive to Gallagher Kitchens. 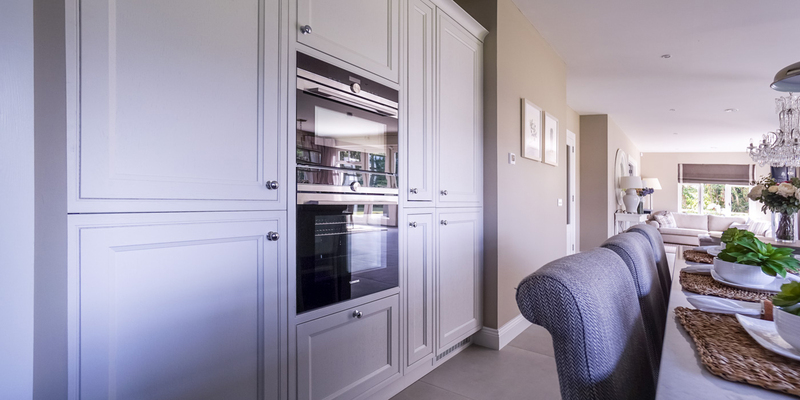 Set yourself apart with this stunning inframe design. Our Yeats door exudes luxury and finesse. Superior in-style framing creates functionality combined with sheer elegance. 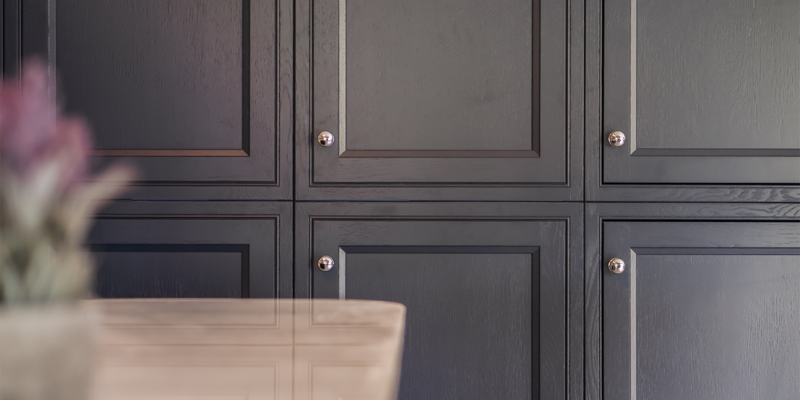 End panels exemplify the lavish natural beauty of solid wood. 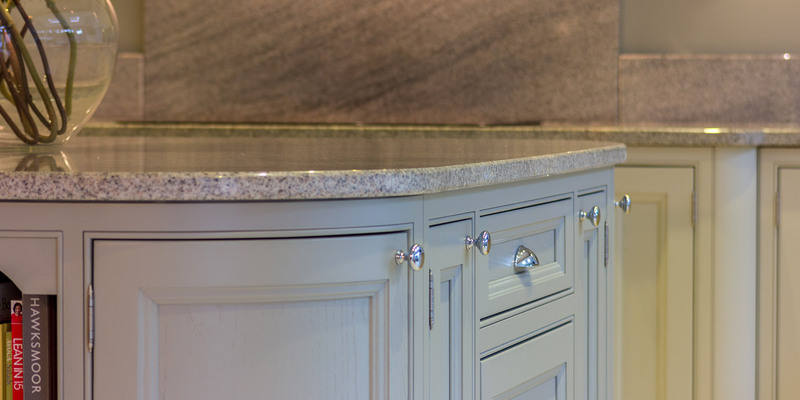 The inclusion of oak finished carcasses add an enticing dimension, encompassing a high-end tailored finish. 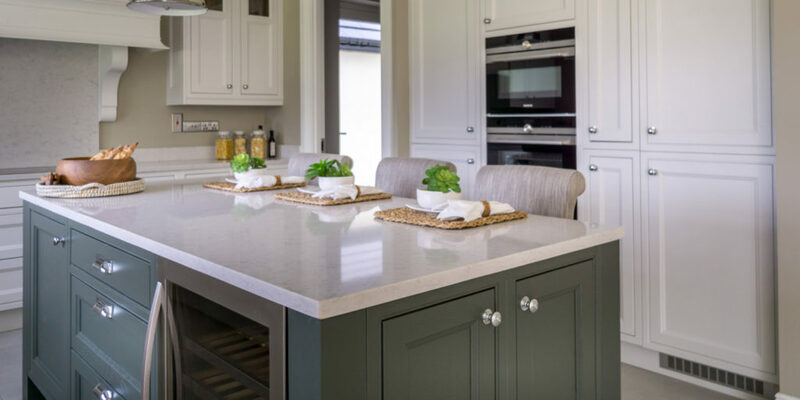 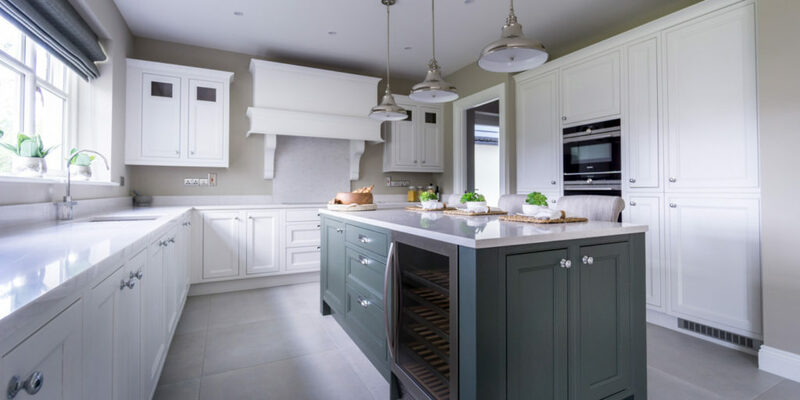 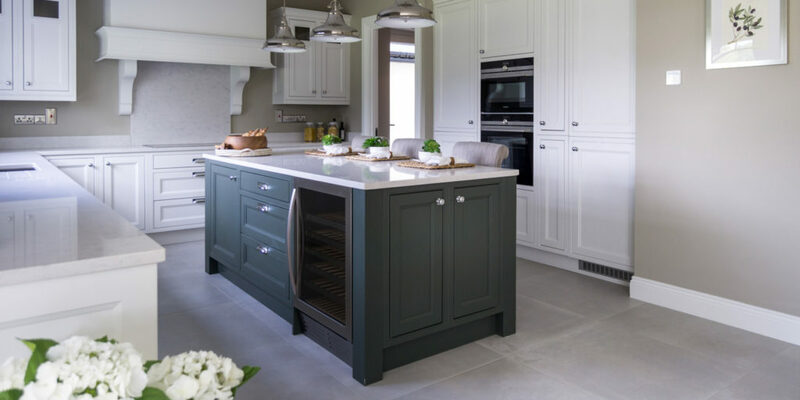 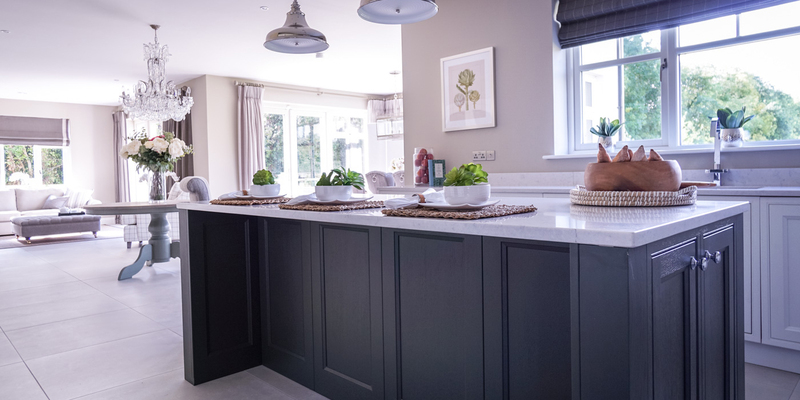 The attractive, purposeful island complete with eating area and wine fridge adds functionality and practicability, finished in ornate panelling, it imparts a modern refinement. 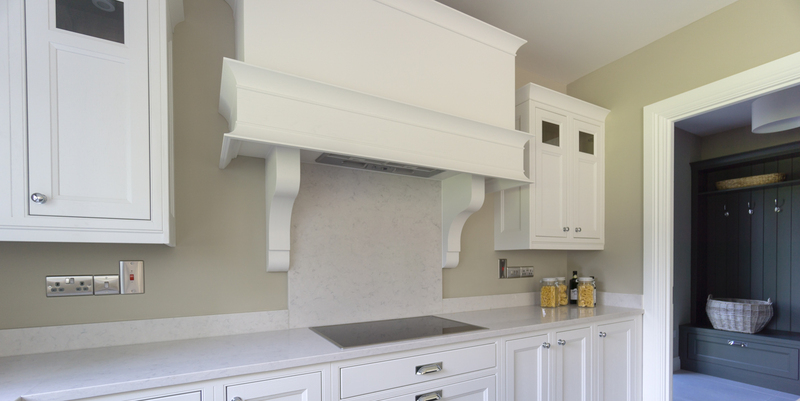 The masterfully, meticulously created canopy, handmade by us, demonstrates the calibre of workmanship applied to this creation. 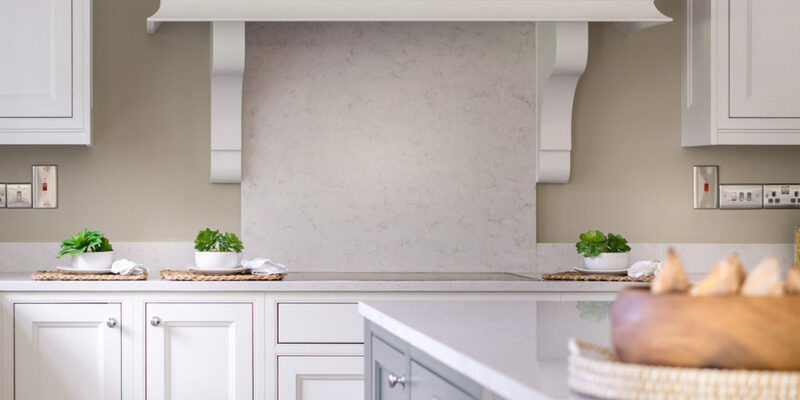 Contradictory in its modest opulence it blends effortlessly creating simple extravagance and sophistication to any style of kitchen. 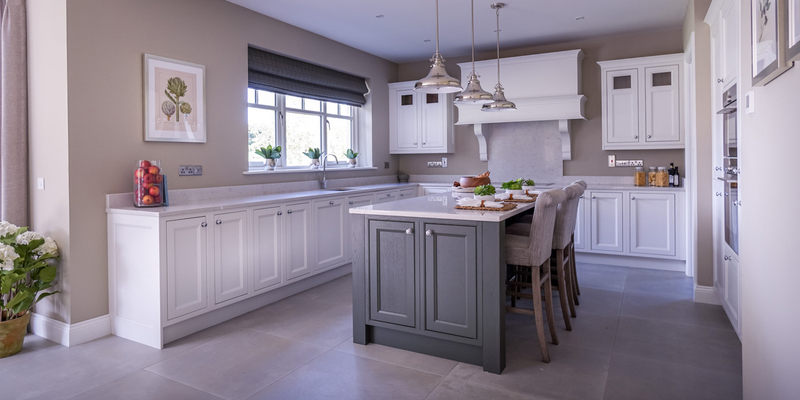 The choice of painted finish allows unlimited possibilities to create your own unique kitchen, with colour combinations blending effortlessly. 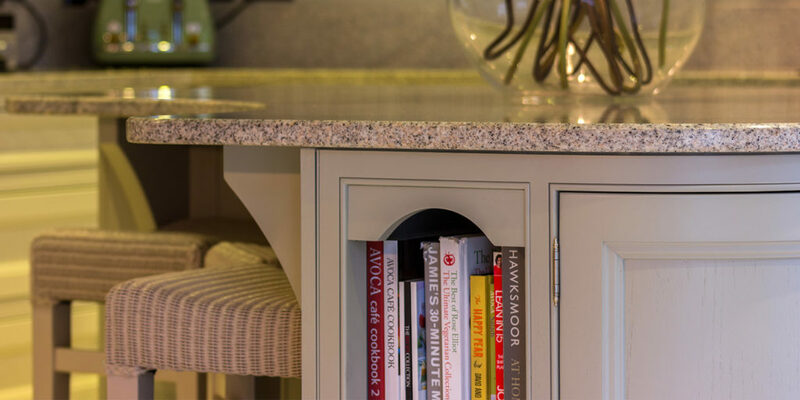 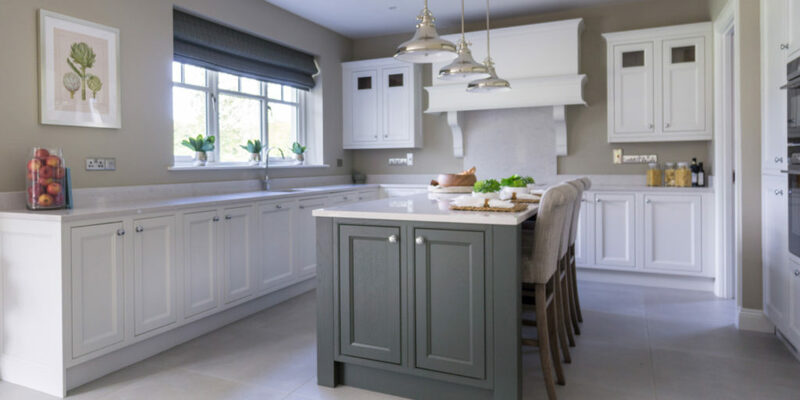 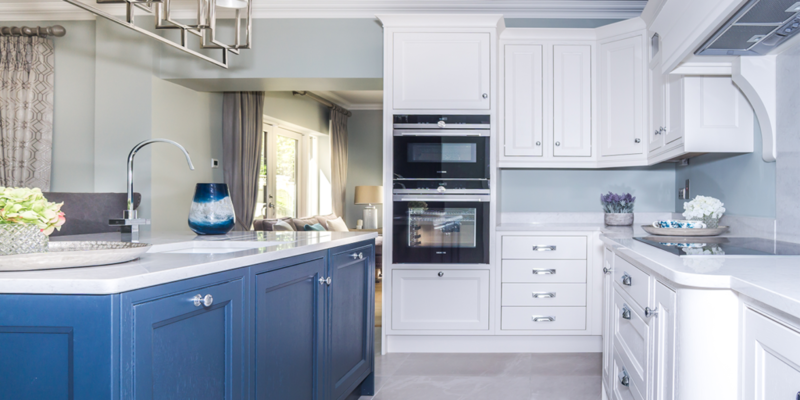 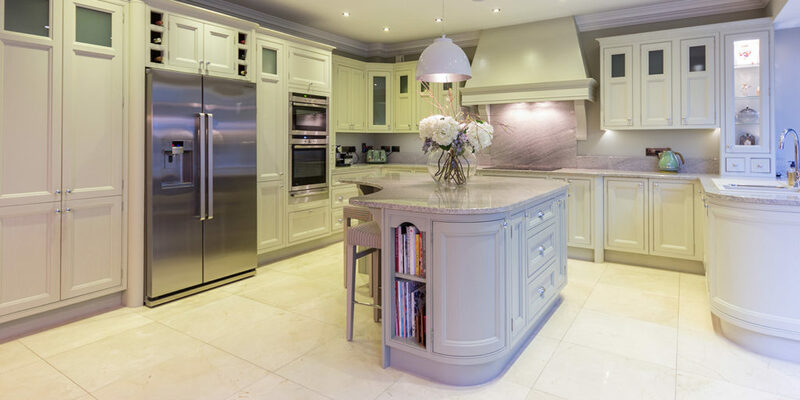 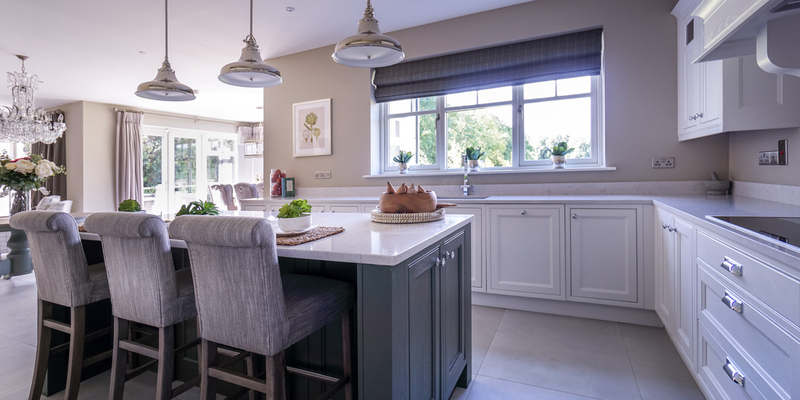 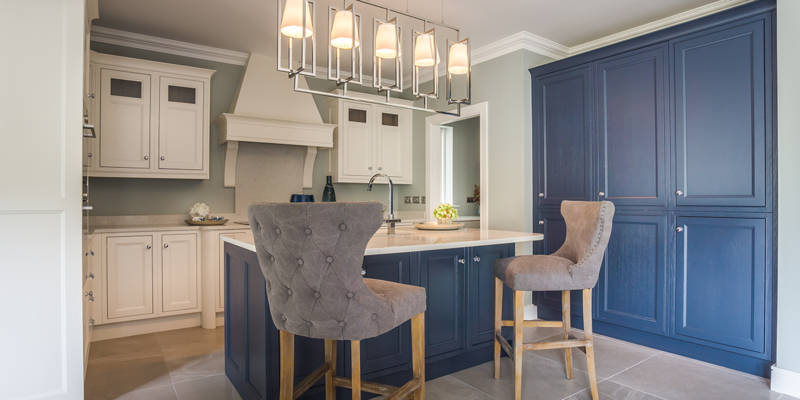 Lend an eye to the exquisite craftsmanship that produces the Yeats door, select only to Gallagher Kitchens, encapsulating the epitome of individuality and exclusiveness. The attractive, purposeful island complete with kitchen cabinet space, undermounted sink, dishwasher and bins that create the perfect waste disposal solutions adds functionality and practicability to this eye-catching island.